Dermatitis is a skin inflammation. Contact dermatitis is a skin inflammation caused by contact with something in the environment. The inflamed skin becomes dry, red, itchy and cracked. There are numerous symptoms of contact dermatitis, including severe itching, dry, cracked and scaly skin, red rashes, and hot, burning or tender skin. The causes of contact dermatitis fall into two categories. Allergic contact dermatitis is caused by the skin reacting to something it’s touched. When a sufferer’s skin encounters something it’s allergic to it causes the body to release inflammatory chemicals that make the skin feel irritated and itchy. Common causes of allergic contact dermatitis are metals (gold, nickel), chemicals in perfumes and makeup, latex gloves and some plants. Irritant contact dermatitis can be caused by the skin’s exposure to mild irritants like soaps and detergents. Frequent washing of hands is a very common cause of irritant contact dermatitis and those who work in jobs where hand washing is essential are often affected. So, if you work in healthcare, bar work, catering, hairdressing and barbering, you’re at greater risk of developing dermatitis if you’re susceptible. People who suffer from asthma, eczema and hay fever develop irritant contact dermatitis more easily than others, and this does tend to run in families. Dermatitis is a broad term that means “inflammation of the skin” whilst eczema is the general term for several types of skin inflammation, so basically dermatitis is a type of eczema. They look very similar so are easily confused, but to get a right diagnosis you should see a healthcare professional. Then you can treat the condition correctly. To prevent a breakout of contact dermatitis you could try and avoid the things that trigger it. Eventually your symptoms will clear up. But before this, you can treat the symptoms. A lot of people who suffer from contact dermatitis find it worst on their hands. 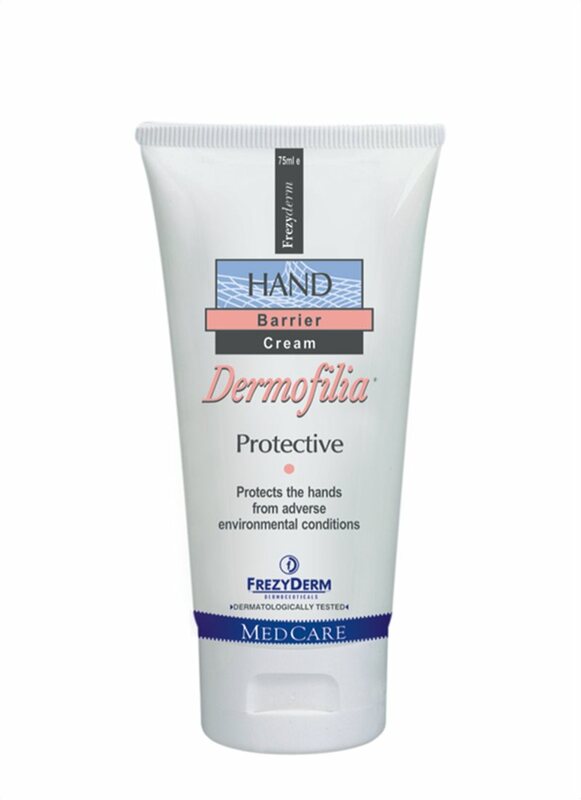 To soothe sore, cracked and dry hands try our Dermofilia Hand Cream. This rich, hydrating hand cream helps restore the skin’s protective barrier, helping prevent further dryness. Emollients give your skin the moisture it needs as well as creating a barrier to prevent it from drying out further. 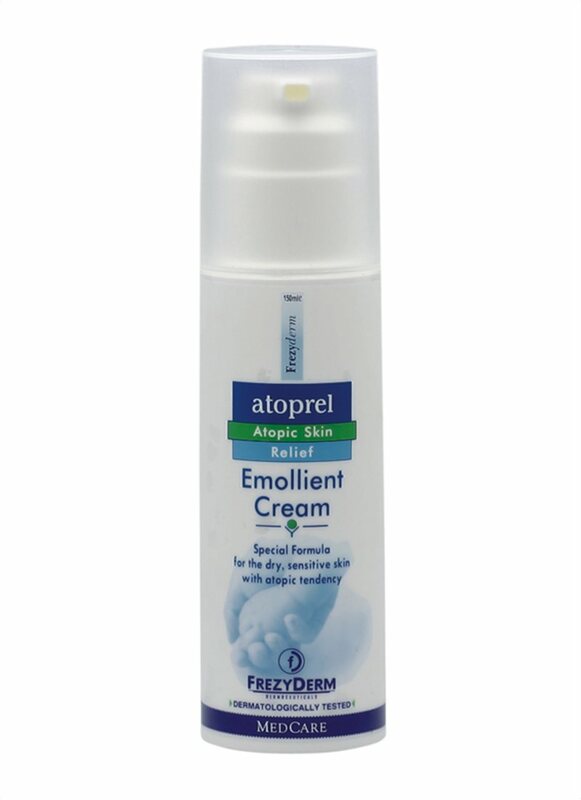 Our Atoprel Emollient Cream is perfect for dry, sensitive skin. As well as giving you protection it also relieves itching and irritation. I have had eczema for 30+ years and all you need is cheap moisurizer as recommended by my GP. works just fine thanks and cost pennies. We’re pleased that you have found something that suits your eczema and your skin!